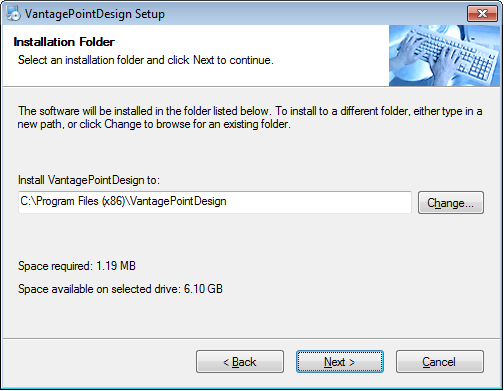 The Vantage Point Presentation Designer is capable of running on any machine. However, that machine must have network access to every Vantage Point Server whose data you will use in the presentation you are going to create. 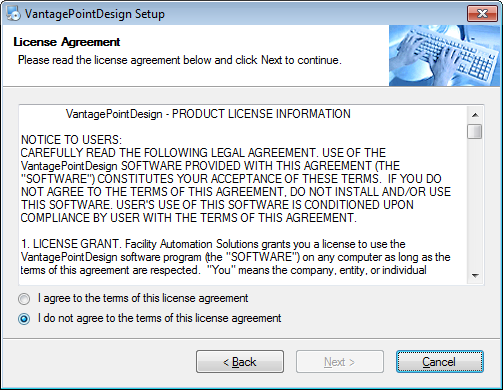 Note: Before attempting to install and setup the Vantage Point Presentation Designer, check with your Network Administrator regarding your company's policies and procedures on installing software. The Network Administrator may have to handle the installation and setup or may have to grant you certain network permissions before you proceed. Note: The Vantage Point Presentation Designer is a collection of executable JAR files. The Java Runtime Environment (JRE) must be installed on the local machine in order for this program to run. Because it runs on Java, it works on Windows, Mac, and Linux but not iOS or Android. Do I have Java Installed? You must first determine whether or not you have Java installed on your computer. Check in the Control Panel on Windows or in System Preferences on Mac OS X. You can also visit java.com and click on the "Do I Have Java?" link. If you need to install Java on your computer, go to java.com, click on the "Free Java Download" link, and follow their installation instructions. We provide both a 32-bit and a 64-bit installer. The 32-bit installer will run on any computer running a 32-bit version of Windows and on most computers running a 64-bit version of Windows. The 64-bit installer will only run on computers running a 64-bit version of Windows. To check what type of Windows you are running, go to Control Panel -> System and Security -> System and check System Type in the System section. 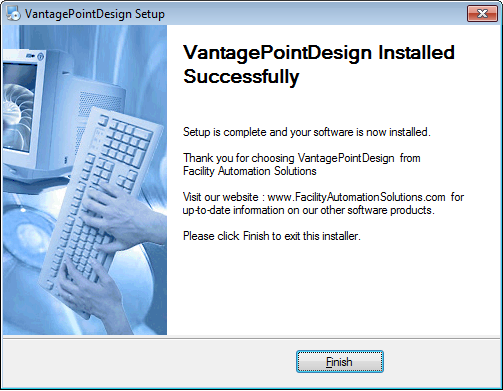 From the install folder, run VantagePointDesign_Setup.exe or VantagePointDesign_Setup64.exe. Read the license information and then to continue with the installation agree to the term of the license and click Next. 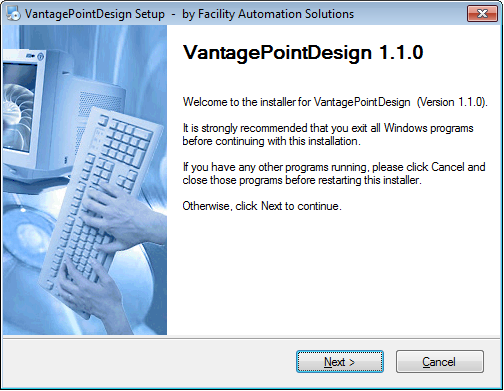 The Vantage Point Designer requires the Java Runtime Environment (JRE) version 7 or newer to run. If you are unsure as to whether or not you have Java version 7 or newer installed on your computer, the Check Java Version button will take to the Java website page that will check for you. 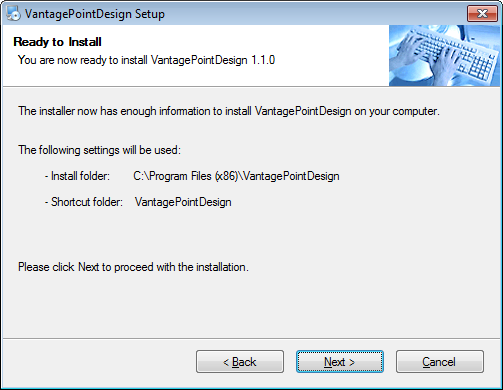 If you do not have Java installed, exit the Vantage Point Designer installer and install Java before continuing. If you have Java version 7 or newer installed, check the box next to Confirm that you have checked your Java Version and then click Next to continue. If the default install location is acceptable to you, click Next to continue. Otherwise select the location you desire before continuing. 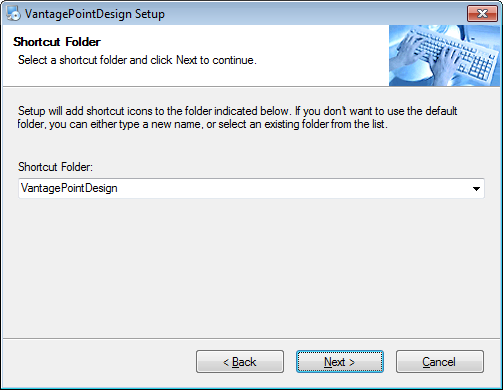 The installation will create a folder in the Window's Start Menu that contains shortcuts for the Vantage Point Designer. By default, it will create a new folder but if you want you can specify a different folder or a different name for the new folder. The installer provides you with a summary before beginning the actual installation. Verify the information and then click Next to continue. The installer will install the program. You may be prompted with a security warning when it attempts to install one of the components. You must select Run to continue. Copyright © 2013 Facility Automation Solutions. All Rights Reserved.